Published on February 25, 2011 August 18, 2011 by cara.b.b. my husband is a self-proclaimed spaghetti connoisseur – and by that, i mean he ate it four nights a week when he was in law school. hey, pasta and a jar of ragu is cheap, people! shockingly, he still loves it. that said, i wanted to make a more grown up version of his favorite meal and that led me to create this marinara recipe, which i must say, turned out pretty darn well. warm the olive oil over medium heat and saute the onion, red bell pepper, oregano, basil, garlic, and crushed red pepper until the onion and pepper soften a bit (10 – 15 min). add the crushed tomatoes and tomato paste and let simmer over low heat for 1 – 2 hours, stirring every once in a while. 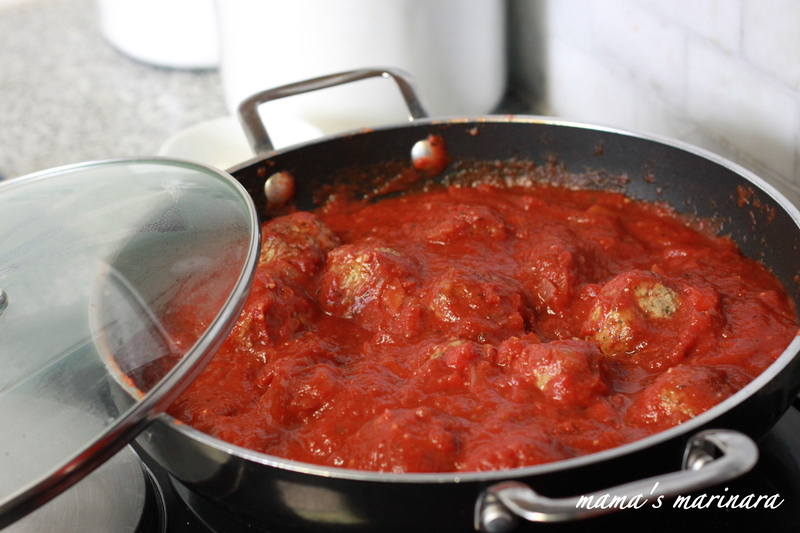 a lot of times, i purchase pre-cooked meatballs (scimeca’s if you’re in kansas city) and add them after the crushed tomatoes and tomato paste – these impart a lot of great flavor to the sauce. *update: i have been adding about 1/4 c of carrot puree (steam some carrots and give them a whirl in the food processor) to this recipe. you can’t really taste them, but it’s a great way to add another veggie. I can’t wait to try this r ecipe. Again, I love your photograph. It’s stark, great contrast and great depth of field.